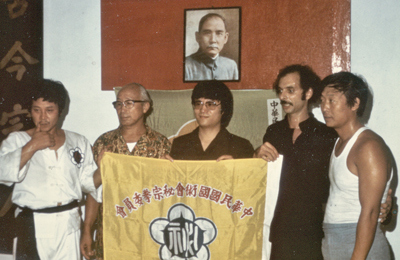 Grandmaster in Taiwan with Master Wu Gwo Jung, a top disciple of Chang Man Ching. This was after a fight where GreatÊGrandmasterÊ was the chief Judge. 1980s.